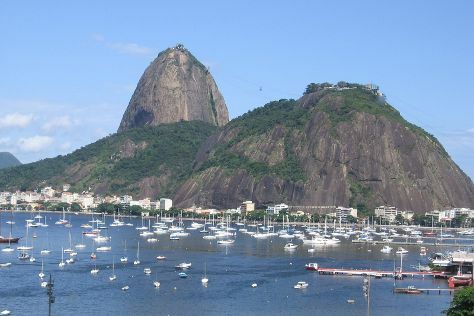 On the 19th (Fri), appreciate the history behind Corcovado Christ the Redeemer, enjoy the sand and surf at Copacabana Beach, then take your sightseeing to a higher altitude at Sugarloaf Mountain, and finally don't miss a visit to Escadaria Selaron. Get ready for a full day of sightseeing on the 20th (Sat): admire the natural beauty at Jardim Botânico do Rio de Janeiro, then tour the pleasant surroundings at Pedra do Arpoador, then tour the pleasant surroundings at Praia de Ipanema, and finally explore and take pictures at Maracanã. To find photos, maps, other places to visit, and tourist information, you can read our Rio de Janeiro travel route builder website . If you are flying in from Brazil, the closest major airport is Rio Galeão – Tom Jobim International Airport. Expect a daytime high around 33°C in April, and nighttime lows around 26°C. Finish your sightseeing early on the 20th (Sat) to allow enough time to travel to New York City. New York City is known for museums, nightlife, shopping, historic sites, and parks. Your plan includes some of its best attractions: take in the pleasant sights at Central Park, pause for some photo ops at The Sphere, see the interesting displays at New York Public Library, and take a stroll through Times Square. To see traveler tips, maps, more things to do, and tourist information, go to the New York City journey maker . You can do a combination of flight and bus from Rio de Janeiro to New York City in 13.5 hours. Another option is to fly. You'll gain 2 hours traveling from Rio de Janeiro to New York City due to the time zone difference. Traveling from Rio de Janeiro in April, expect New York City to be cooler, temps between 19°C and 8°C. Wrap up your sightseeing on the 23rd (Tue) to allow time to travel back home.